Who Can Work in Jersey? People who are entitled to work in Jersey fall into one of four categories: Entitled, Licensed, Entitled to Work and Registered. 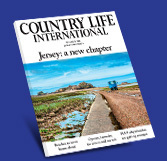 Everyone who comes to work in Jersey after 1st July 2013 will need to obtain a Jersey Registration Card before they can be gainfully employed. Click here to find out more about Registration Cards.